When you are building a home, you might wonder whether residential and geothermal heating and cooling go well together. After all, geothermal requires that a well be drilled and it can have a higher initial cost than installing a conventional system. Once you begin to consider the advantages of geothermal, however, it will quickly become clear that residential and geothermal heating and cooling do make sense and that geothermal may just be the best way to heat and cool your home. One of the biggest and most obvious benefits of geothermal is that you can achieve significant savings on your electricity bills and on your bills for heating and cooling your home. Geothermal is far more energy efficient- some estimates suggest as much as 400 times more energy efficient- than other heating and cooling systems. In most cases, a geothermal unit will not only provide air conditioning and help with heating your home, but it will also preheat your water or help to warm it up before it gets to the hot water tank. This can give you yet another source of money and energy savings, since hot water heaters are a major contributor to raising the monthly utility bill. While the reduced energy costs are somewhat offset by the increased cost of installing a geothermal unit, this is true only for a limited period of time. After a few short years, you will have made up the difference in cost for the geothermal unit. With tax credits available on a federal level through 2016, and with many local utility companies offering rebates, the payback period may be even shorter. As long as you remain in the residence, any additional savings on your energy costs after this point will be pure profit. If you sell your home, on the other hand, the geothermal system can raise your asking price and can be a major benefit that encourages buyers to buy. Aside from the energy benefits, geothermal also has other advantages as well. For one thing, the system tends to run much more quietly than conventional heating and cooling systems do. You won't have to worry about a noisy air conditioner kicking on or a furnace going on and off at regular intervals, but you will instead enjoy nice, quiet power from the geothermal system. This can make your home a more peaceful place to be. Some who have experience with residential and geothermal heating and cooling also report that their homes feel less humid or warmer, on the whole, once geothermal is installed as compared to with their prior heating and cooling system. This, too, can be a significant advantage, especially if you feel as if your home has cold places or if it can't quite get warm. 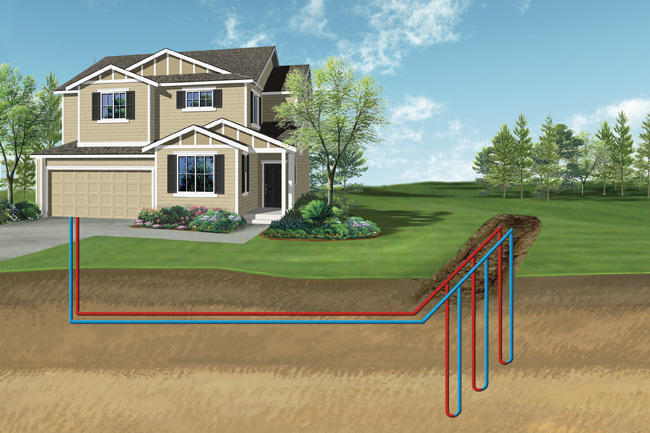 With all of these different benefits of geothermal, it is clear that residential and geothermal heating and cooling can work together and that installing a geothermal unit in a residential home can be a great investment in your future comfort and your long-term utility savings. 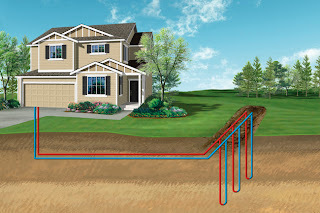 Learn more about residential geothermal heating and cooling and geothermal heat pumps at Sandium.Com. Heating and Cooling Indianapolis is aware of the updates on the new technologies. Geothermal products like heater and cooler is also their target to produce for the new innovations today. heating and air conditioning and would hope that this becomes a national trend soon. I am big on sustainability and going green, so I hope that this is implemented soon. You can cut the cost of your electricity bill with the help of Geothermal Heating and Cooling. Nice blog. I have enjoyed reading. I will keep visiting this blog very often. A furnace is a device designed to heat a home or other building. Through this blog i have looking for the exchange my residential heating and cooling system. Fireplaces the exchange my residential heating and cooling system. I'm so flattered to be here and to read the information to this site like the post of residential heating in Saskatoon. Always Your Best Choice repairs and retrofits of every brand and variety. They determine the best, most cost-efficient and energy-efficient solution and then work with you to design and map out the process. Hey there! This is a good read. I will be looking forward to visit your page again and for your other posts as well. Thank you for sharing your thoughts about Geothermal heating in your area. I am glad to stop by your site and know more about Geothermal heating. Keep it up! Some parts of the world, including substantial portions of the western USA, are underlain by relatively shallow geothermal resources. Similar conditions exist in Iceland, parts of Japan, and other geothermal hot spots around the world. In these areas, water or steam may be captured from natural hot springs and piped directly into radiators or heat exchangers. Alternatively, the heat may come from waste heat supplied by co-generation from a geothermal electrical plant or from deep wells into hot aquifers. Direct geothermal heating is far more efficient than geothermal electricity generation and has less demanding temperature requirements, so it is viable over a large geographical range. If the shallow ground is hot but dry, air or water may be circulated through earth tubes or downhole heat exchangers which act as heat exchangers with the ground. Hi there! Thanks for sharing a very interesting and informative topic of geothermal, it helps me a lot, keep it up! Follow above mentions simple maintenance tips that can prolong the life of your HVAC equipment and improve air quality inside of your home. Regular maintenance done by professionals can be trained to detect small problems before they become big problems and costly HVAC appliance damage. Geothermal heating and cooling systems are much higher priced than fossil fuel systems. Can the average home-owner recover these costs? Airccc provide best air con services in Central Coast region. We provide air con services like air conditioner installation, air conditioner repair and also 24/7 breakdown repair service.